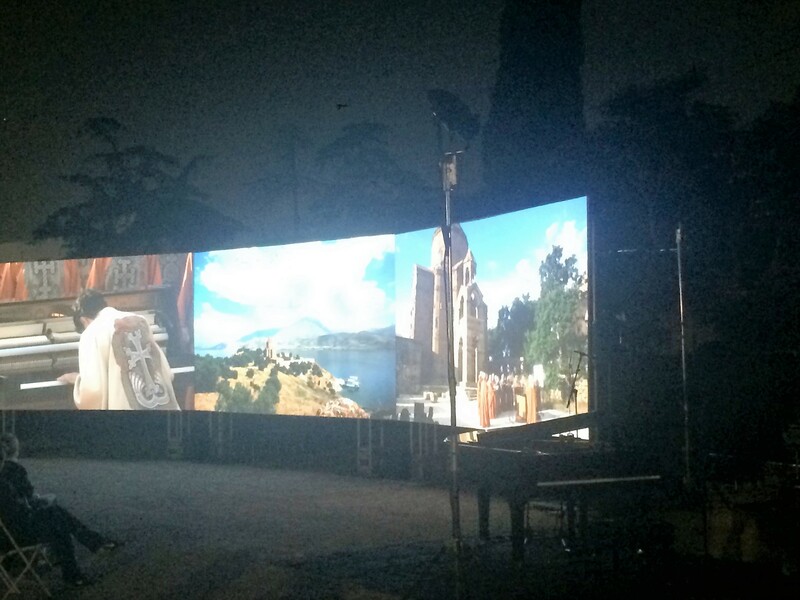 An empty, unpaved lot in East Hollywood’s Little Armenia is transformed into a pop-up multi-media installation space. A week later, it’s a school yard in Watts that, for one evening, becomes a vibrant celebration of visual, spoken word and performance art. Creativity in unexpected places: such is the vision of the LA Cultural Affairs Department’s new Arts Activation Fund, a pilot program designed to fund artists with ideas for creative public art projects and cultural events in neighborhoods in or near the City’s designated Great Streets. The first East Hollywood event, Luys I Luso, was the creative brainchild of filmmakers Emily Mkrtichian and Alex Igidbashian. They created an audio-visual installation from the images and recordings they collected filming performances of sacred music by noted pianist Tigran Hamasayan as he traveled through Armenia in 2015, 100 years after the Armenian genocide. In Watts, teacher and artist Mario Cruz produced the third iteration of his ArtWarsLA, a kind of amalgam of community arts festival and crowd-sourced arts competition. Additional grantees with events and installations planned around the city for the next couple of months include: The Reseda Summer Art Series, a street art festival happening over three weekends along Reseda Boulevard in the Valley; ArtBlock, a walking tour centered in the Oakwood Neighborhood of Venice, and coinciding with the annual Venice Art Walk; the Mar Vista Art Walk; and PicoHair, a photography project focusing on barbershops and beauty salons along the Great Street segment of Pico Blvd. Where does Community Partners fit into this? The Cultural Affairs department needed a partner to help administer the funds, assist artists with event logistics, and work with the artist-grantees on strengthening their business know-how, an effort to help make their work more sustainable in the long-term. We’re excited to work with the City on this effort and to see the impact it has on building and enlivening communities. The Arts Activation Fund is one of Community Partners' many grantmaker partnerships. Check here for a full listing of events.